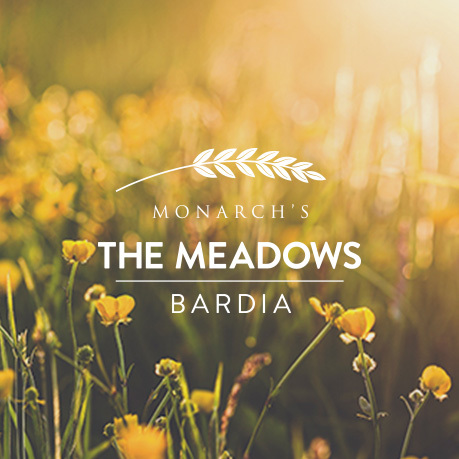 Monarch announces its latest residential community The Meadows, Bardia. Head over to www.themeadowsbardia.com to register your interest. On the 4 April, the Monarch Investments Group (Monarch) will release the first stage in its new masterplanned community – The Meadows, which is a $135 million project, located in Sydney’s South West growth corridor. Hundreds of buyers have already registered on Monarch’s database to snare a house and land package in the new estate situated in the suburb of Bardia at the junction of the M7 and M5. The Meadows is located directly beside Monarch’s Ingleburn Gardens Estate and across the road from the company’s first major development in the area, Macquarie Links Estate. Peter Icklow, CEO of Monarch comments, “Over the past 60 years, Monarch has sold over 6,000 land lots across Sydney and New South Wales. The South West is one of the fastest growing areas in Sydney. We believe The Meadows is well placed to capitalise on the significant multi-billion dollar infrastructure plans that are currently taking place or planned for the Edmondson Park area. The 8.4 hectare site was originally sold to Sydney Anglicare School Corporation in 2004 to build a complete (K-12) school, however due to unforeseen circumstances it was released for sale last year. The latest statistics from Domain highlight that within the past 12 months Edmondson Park witnessed a significant 53.2 per cent jump in land prices with a median land price of $520,000 for a 450 sqm block. “I have witnessed the exponential house growth in the South West growth corridor over the past two decades and based on this, I would expect The Meadows house and land packages to hit the $1 million mark within the next ten years,” he added. A swimming pool, playground and recreational facilities will feature in the new community. The Meadows is located within one kilometre from Edmondson Park Train Station and the billion dollar Edmondson Park Town Centre. It is a short drive from CrossRoads Homemaker Centre which includes Costco, Bunnings and Bing Lee. Sydney’s CBD is an approximate 45 minute drive and the proposed Badgery’s Creek Airport will be located within a 20 minute commute. Prices start from $624,950 for a three bedroom duplex and range in lot size from 230 sqm to 390 sqm. Packages feature a dishwasher, air conditioning, open plan living area, floor coverings, fencing, landscaping, blinds, light fittings and an ensuite. For further information visit: www.themeadowsbardia.com or phone 1800 548 343.